There are around 6.5 million dog owning households in the UK, with nine in 10 of those thinking of their pet as a fully-fledged member of the family. So, what should you choose if you’re looking for a car that’s as comfortable for Fido as it is for Aunt Frida? Well, something with a good-sized boot is obviously crucial, and a cream interior a big no-no. 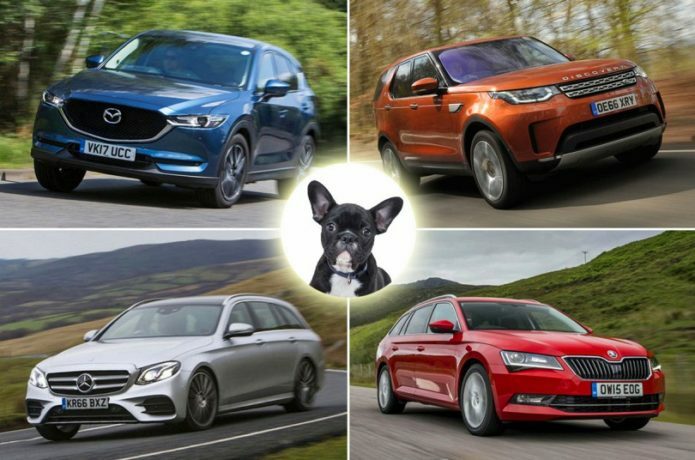 But you might also want to think about tinted windows to help keep your dog cool in summer, a partition grille to stop them joining you in the passenger compartment, and good air flow to prevent that ‘doggy’ smell. If you’ve got a large dog, you’ll also want to make sure they can jump into the boot instead of having to be lifted in. And, of course, a forgiving but well controlled ride is a must if you want to stop them getting car sick.